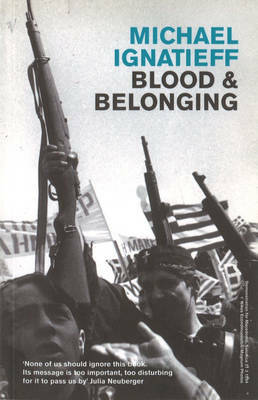 With The Warrior's Honor and Virtual War, Blood & Belonging forms part of the acclaimed trilogy by Michael Ignatieff on the face of modern conflict. In 1993 Michael Ignatieff set out on a journey to the former Yugoslavia, the Ukraine, Germany, Quebec, Kurdistan and Northern Ireland in order to explore the many faces of modern nationalism at its worst. Modern nationalism is a language of blood: a call to arms that can end in the horror of ethnic cleansing. But it is also a language of belonging: a call to come home. In Blood & Belonging Michael Ignatieff explores both sides of nationalism in a personal odyssey that begins in the nightmare of the former Yugoslavia and ends with his return to his adopted homeland, Great Britain's disunited kingdom.